Come and enjoy an evening full of musical variety with the talented student from Bodedern, Elain Rhys, and friends. Elain has chosen to hold this event in order to raise money for the Friends of the William Mathias Music Centre who are responsible for administrating the Bursary Fund in order to ensure that children in North Wales have access to music education of the highest standard. Joining Elain Rhys in the concert will be Triawd Edern, Glesni Rhys, Ann Peters Jones, as well as some of the students who receive lessons at Canolfan Gerdd William Mathias. Triawd Edern voice ensemble consists of Elain, her sister Glesni and her friend Annest Mair Jones. 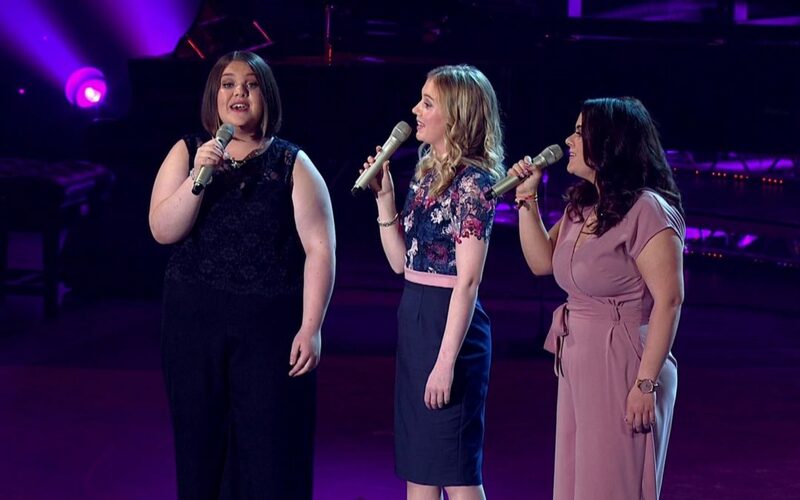 It was formed in 2014, and has gained considerable success over the years, performing on Noson Lawen on S4C, as well as coming first in the National Eisteddfod in Bodedern and performing in concerts throughout North Wales. Elain, who is a Music student at Bangor University, will also perform solo pieces on the harp and piano in the concert. Glesni, who is 17 and is studying for her A Level has gained success as a singer. She won the Girls’ Solo for those aged under 19 at the National Eisteddfod in Cardiff last year and has also passed her Grade 8 singing exam with distinction under the direction of her mother, Ann Peters Jones. Ann is a member of the team of tutors at Canolfan Gerdd William Mathias and teaches the voice and piano. According to Medwyn Hughes, the chairman of the Friends of CGWM, there is a great need for the Bursary Fund in order to support the musical education of children. The concert by Elain Rhys & Friends will be held on Saturday evening 19 January 2019, 7:30pm at Ucheldre Centre, Holyhead. Tickets are £10 and are available from the Ucheldre Box Office 01407 763 361.